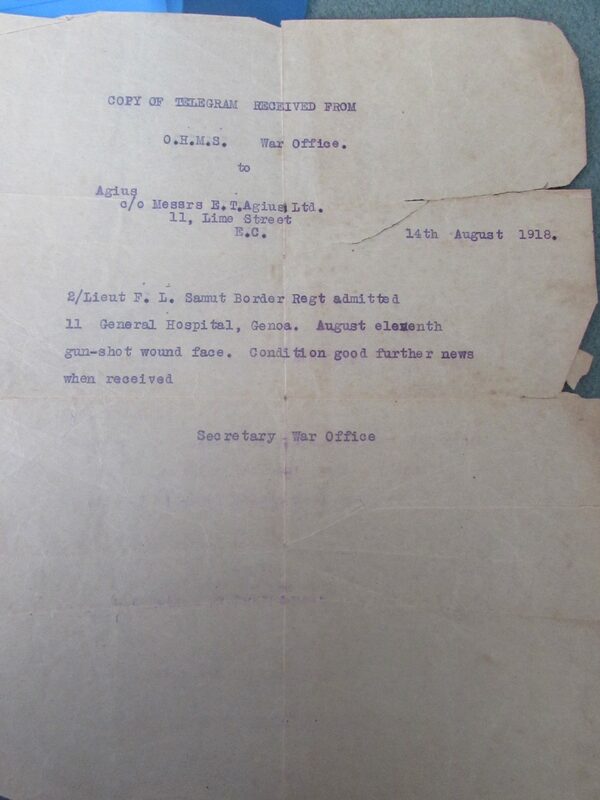 Before we tell of what our 5 on the front-line are doing , here’s a resume of the significant others in our WW1 story…. Major Alfred Agius – he left the western front in August (we think) and we have now discovered in a letter from Adela that he was wounded. The Army List for Dec 1918 says ‘second in command of reserve battalion’. Arthur – one of our 5 on the front line. George – in the Ordnance Corps (as his father was) but we have yet to pin down his position. Leonard – Feb-June 1918 he had been with the 9th Worcestershires in Mesopotamia. 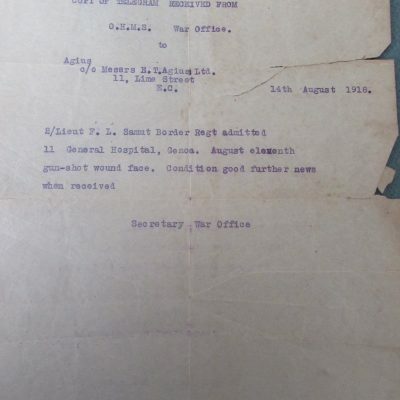 The War Diary notes that he was sent to India to work in the Regimental depot. That war diary is good at detailing when officers return and Leonard isn’t mentioned again so we assume he is still in India on this day. The Turks signed the armistice on 30th October and so the Middle Eastern front is at peace. Frank – he has been on the Italian front since autumn 1917 and is mentioned in the 2nd Border Regiment history for a significant action in August 1918. 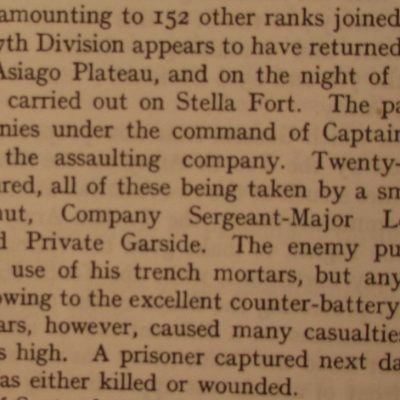 Shortly after that he was wounded and is probably still convalescing , possibly in Genoa. And finally Mary Muscat who is probably still nursing at Cottonera Hospital.